Participants from Lithuania, Greece, Italy, Spain, Turkey and Bulgaria took a part in a project in Lithuania from 8th till 12th May, 2017. Coordinator of the project- Šiauliai district Kursėnai kindergarten ‘Eglutė’. 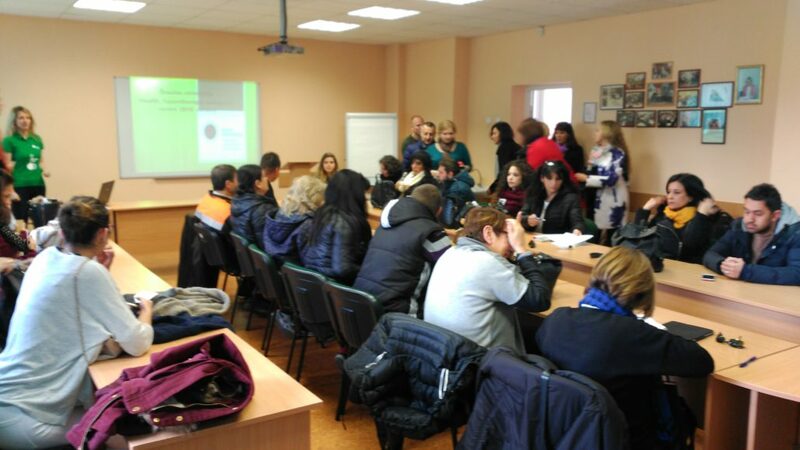 Training coordinated by the project ‘ABA – our new view in special education’ (ABA – ONV). Modern society possesses an in increase in the number of children with autism emotional and behavioral disorders. 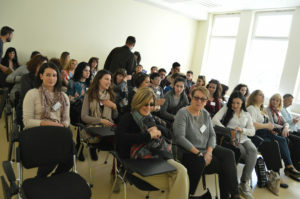 The project aim was to analyse how to work with such children and how to make their integration into the society easier. 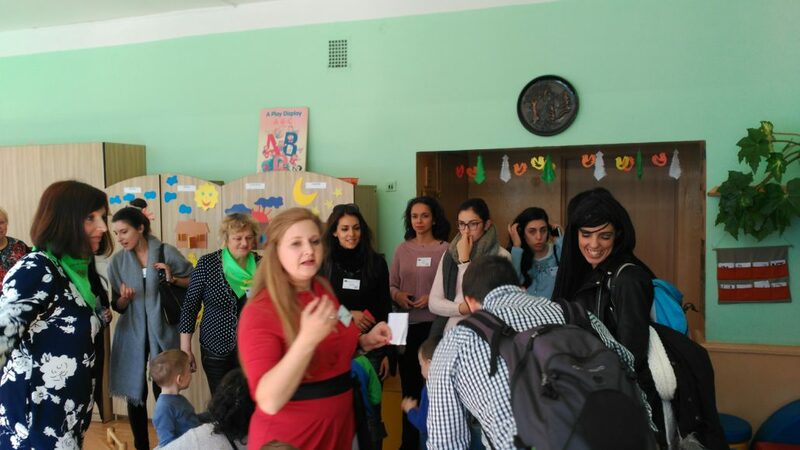 Vilnius kindergarten ‘Čiauškutis’ shared their valuable experience and knowledge during the first day of the project. 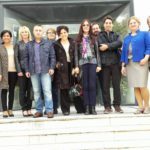 Pedagogues and other specialist of this kindergarten have a long-lived experience of working with the kids who have emotional and behavioural disorders including autism. In order to help children, pedagogues use various methods incorporating ABA method elements, which are especially relevant for the participants of the project. The other two days of the project were conducted by the VšĮ ‘SADD Lietuva’ coordinator Giedre Skaisgiryte. 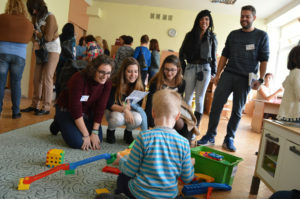 “ISADD Lietuva” specialises in ABA (Applied Behavior Analysis) usage for the kids who have various developmental disorders (Autism, Down syndrome, etc) in many Lithuanian cities. Europe Day held on 9th May every year. Due to this occasion participants of the project greeted each other with the flags, which shapes were representing their native countries. 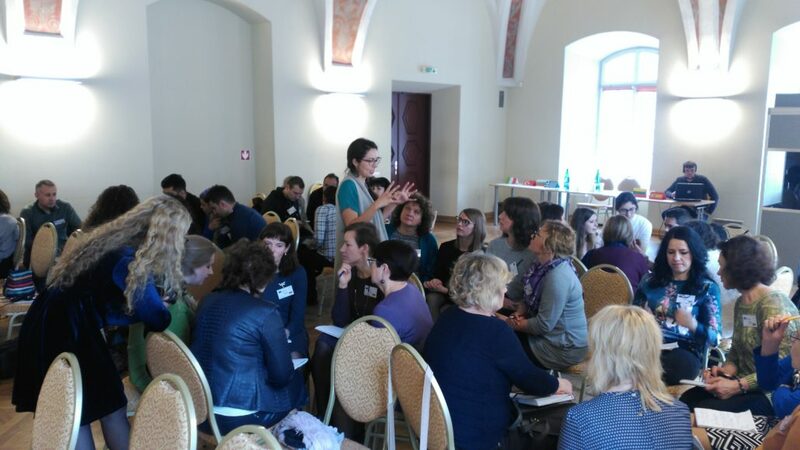 Tutor G.Skaisgiryte represented her experience gained in the Australia, where she was working with autistic children. 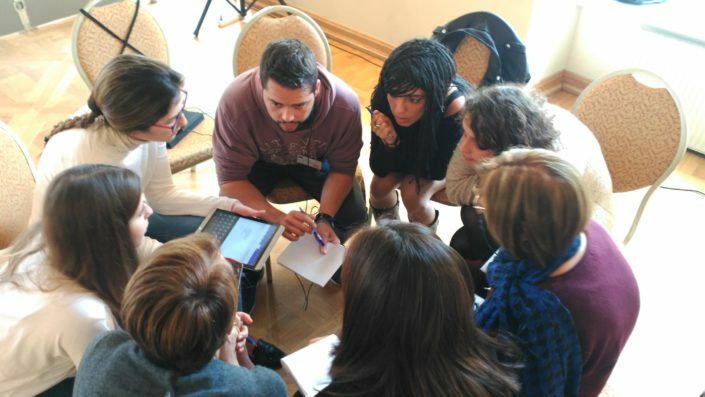 Project participants were divided into groups in order to develop closer communication with each other and to share their individual experience. Groups were combined by the people from different countries. 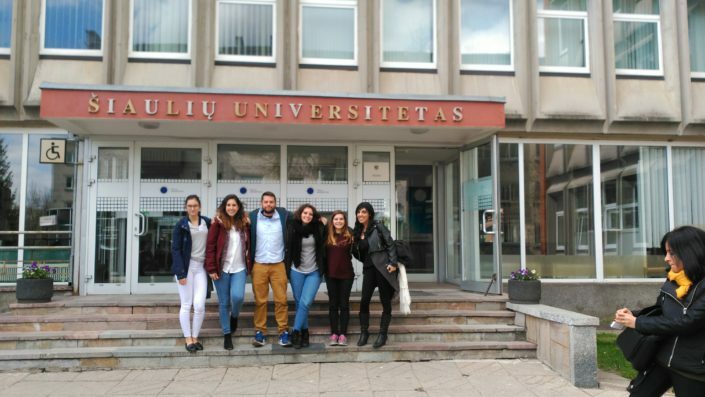 All members of the project visited Siauliai University during the fourth day of the project. Department of Special Education Lecturer E.Elijosius introduced study programs, which prepare students to work with special needs children. 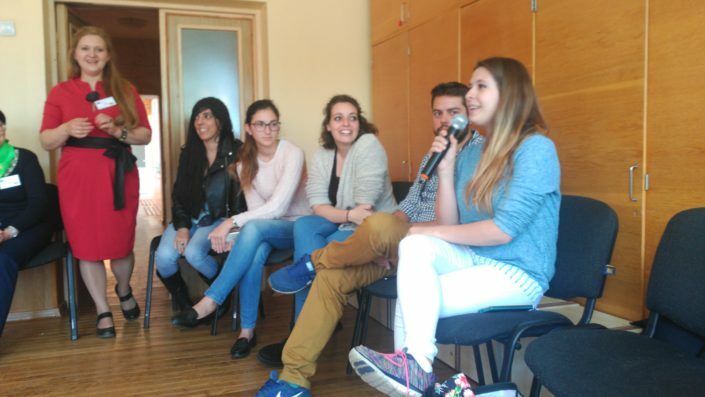 Such students after half of the term of their studies are able to choose list of fields, where they deepen the knowledge on how to work with children who have special needs and what methods and approaches to use. 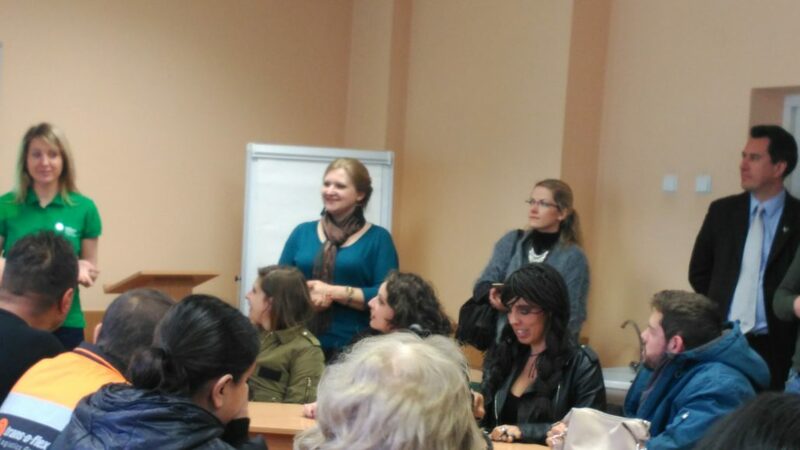 Lecturer outlined that one of such methods is – ABA approach and introduced the compensating technology center. 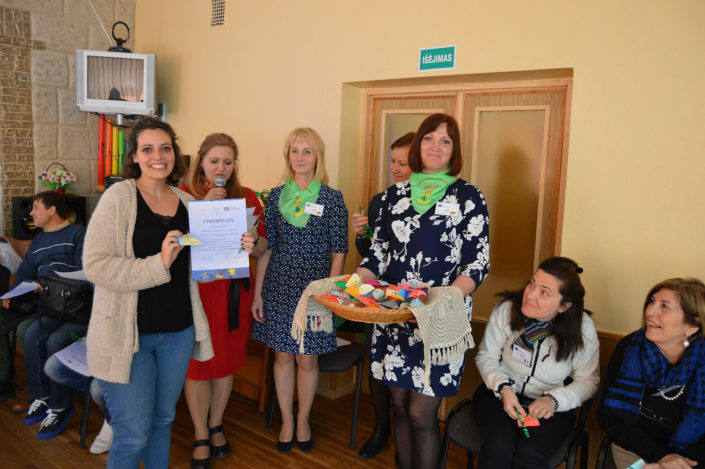 SHS (wellness, hippo therapy and sports) center director D.Mockeviciene, assistant/physical therapist I.Simkute and other center specialists kindly introduced their services to the members of the project in the wellness, hippo therapy and sports center. Speech therapist R.Choromanskiene presented the speech therapy center and the new equipment for parlance development and disorder elimination. Treatment and education with horses was a new knowledge gained for the guest from abroad. 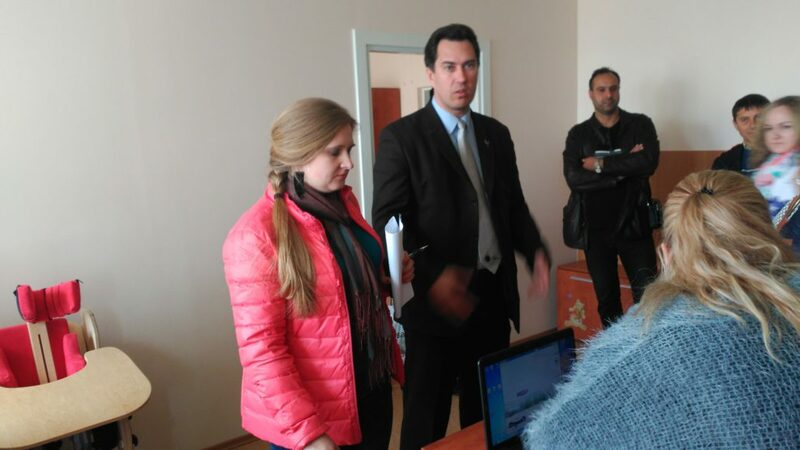 Project participants were amazed by Siauliai University services and education programs. Members we fascinated by the beauty and uniqueness of The Hill of Crosses as well as the Franciscan Monastery nearby. Big thank you to Siauliai tourism and business information center. 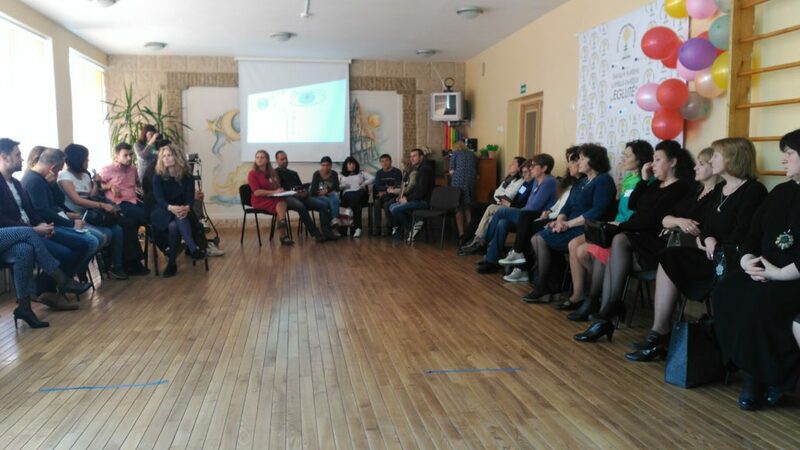 On Friday the training took a place in Siauliai district Kursėnai kindergarten ‘Eglutė’ Siauliai District Education Department Chief Specialist S.Valaviciute, project coordinator A.Leisiene and the kindergarten director D.Kupriene shared welcome words with the participants of the project. 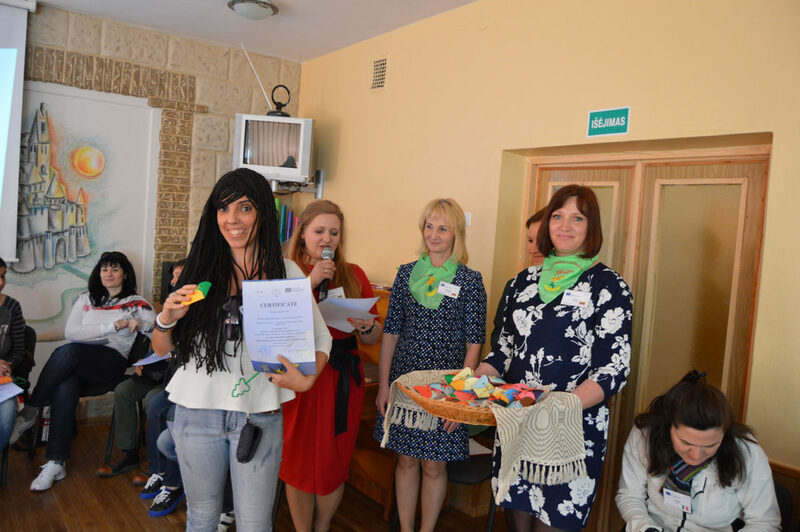 The experience was shared by the Siauliai district educational psychological services manager L.Ziediene, Siauliai district Kairiai kindergarten ‘Spindulelis’ speech therapist, special educator D.Urboniene, Meskuiciai kindergarten speech therapist R.Perminiene, pedagogues from Voveriskes Primary School L.Dereskeviciene, V.Bernotiene, I.Vireikiene and v.Bacianskiene and pedagogues J.Saldauskiene and R.Kancauskiene from Kursenai Pavenciai Secondary School. 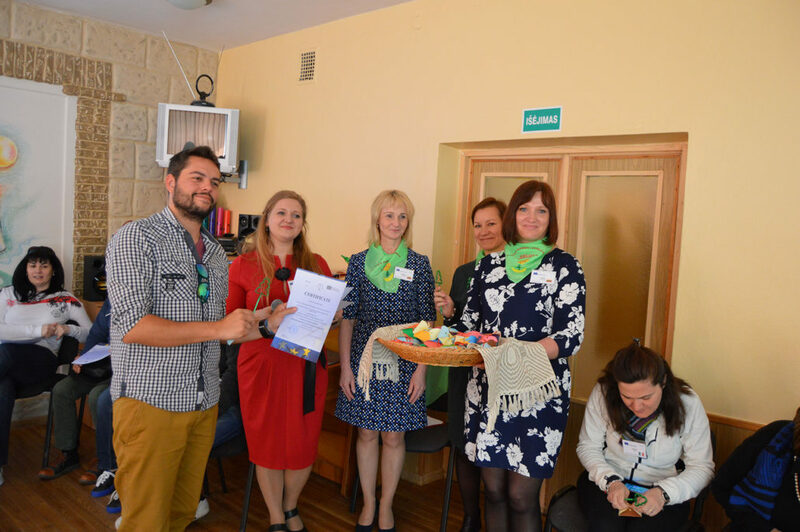 Participants were captivated by the Joniskis kindergarten ‘Ąžuoliukas ‘special educator J. Ciutiene presentation about the education and ABA elements usage in the pre-school institutions for children with autism. 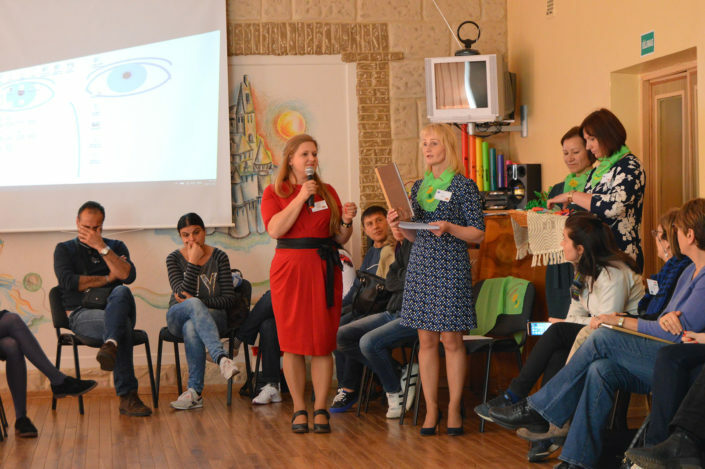 The end of the project was fulfilled with presentations from the guest from abroad counties, where participants represented their institutions and the experience gained from the project.